A quick view of the most influential metrics in Santee. The city of Santee, California is located in San Diego County, it is in the East County region and is a suburb of the larger city of San Diego. The city spans 16.528 square miles .293 square miles of which is water covered. The San Diego River bisects the city and yet it has a semi-arid climate. The most prominent landmark in the area is Cowles Mountain which rests on the western side of Santee and offers breathtaking vistas and is perfect for hiking and nature observation. The city is and has been home to many notable people including MLB pitcher Stephen Strasburg, comedian Dat Phan, Swing Kids guitarist the late Eric Allen and Paul Beahan head and founder of Minimal Vinyl. For many years in its early history the area was inhabited by the Kumeyaay Indians who had villages along the San Diego River. The town and the mountain were named after George Cowles a rancher who operated in the area during the 1800s. The town was later named after Milton Santee a realtor and surveyor who married Cowles widow. It was this woman who opened the first post office in his name and lobbied to change the name of the town. The city was incorporated in December of 1980, and in 1985, the Carlton Oaks Golf Course opened and quickly became a premier golfing location. 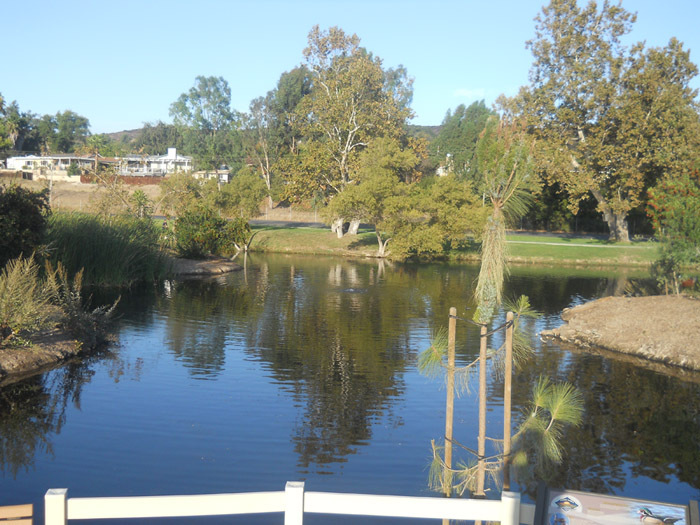 The town motto is "Sustainable Santee" and they work to live up to the motto. Today the city is the 12th largest city in the county of San Diego and still has plenty of room for development. Today the city is the 12th largest city in the county of San Diego and still has plenty of room for development. According to the United States Census in 2010, the city of Santee was home to 53,413 residents spread over 19,272 households giving the city a population density of 3,200 people per square mile. The median household income was $78,872 per year. Local attractions like the Sportsplex USA which spans 15 acres with a sports themed restaurant, batting cages ball fields, arena soccer fields and more. Other attractions include the Santee Boulders, Carlton Oaks Golf Course, Lakeside and Mission Trails Regional Park and the Santee Lakes Regional Park and Campground. Public education in the city is provided by two districts, the Santee School District and Grossmount Union High School District. The city features beautiful park lands, walking trails and multiple sports venues that encourage residents to embrace an active outdoor lifestyle. Homes for sale in the city range from starer homes up through sprawling luxury homes, but the majority of homes fall into the middle class/upper middle class category. Rental opportunities include houses, apartments and multi-family structures such as duplexes. Other housing option include town houses and condominiums complete with a variety of amenities focused on the convenience and comfort of residents. Call a local real estate agent today for assistance in the search for the perfect home for you and yours in the thriving city of Santee, California. View our selection of available properties in the Santee area. Check out the latest demographic information available for Santee. Learn more about schools near Santee complete with ratings and contact information. Browse through the top rated businesses in the most popular categories Santee has to offer.